Buttercups are usually grown from buried roots, but it is possible to grow them from seeds. You will need to make some room in your refrigerator before you get started, and be prepared to do some "nursing" to get the seeds to germinate. 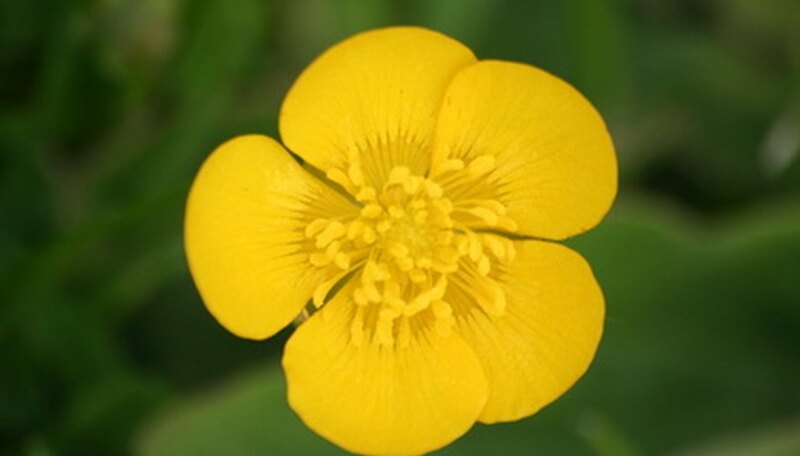 With the proper care and attention, buttercup seeds can be persuaded to grow into these classic, simple yellow flowers. Plant the buttercup seeds in the plant flats. Sow the seeds on moist potting soil and then cover them with another light layer of soil. Wrap the flats in a plastic bag and place them in the refrigerator for three weeks. Dig a ditch a little deeper than the flat is high. Place the flat in the ditch and cover it with the glass dome to keep the seeds from being eaten or displaced. Keep the soil moist, but do not drench the seeds. Watch for sprouts. In two weeks to three months, you will see the plants sprouting. At this point they can be removed from the flats, roots and all, and transplanted to a permanent location. They can grow in partial shade or even in the sun if the soil is kept moist. In the fall, sow the seeds outdoors and wait until spring for them to germinate.